An alternative to painting your walls? Wallpaper from Thibaut. 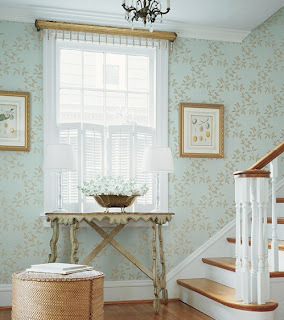 Thibaut has a new refreshing line of spring wallpaper. It is colorful and fun. It will give your room a great look to coordinate with the warm, crisp spring weather outside. Spruce up your space with Thibaut wallpaper.